This 2 day enlightening and captivating course provides complete knowledge of the 7 aura layers – Etheric Body, Emotional Body, Mental Body, Astral Body, Etheric Template, Celestial Body and Ketheric Template. You will learn all about each auras location, aura span, colour, appearance, related chakra, expression and statement of consciousness, purpose, connection, type of energy, element, attributes, qualities and emotions and how our auras effect everything in our life. You will learn what energies are effecting your aura as well as some powerful cleansing techniques to uplift and regenerate your energy field including aura-soma colour infused oils, crystals, crystal gridding, colour, essential oils, affirmations, sound, flower essences, oracle healing cards, runes, spirit message, palo santo, sage smudging, incense, orgonite, water infusion/cleanse, sacred geometry, figure 8 energy, spiral energy, nature’s healing chi, EMF’s, Feng Shui, activities/spiritual practices and so much more. Connect to your light body and delve into the depths of each individual aura and gain a deeper insight of the related shapes and symbols including animal totems, black shields, orbs, sacred symbols, spirit guides and so much more as well as the colour and meaning of your own aura plus unique restorative remedies to allow you to radiate your best light energy into the world. Presented by its developer, Denise Robinson, this unique, new and fascinating spiritual aura course delves into interpreting and understanding all the beautiful seven aura layers of our light bodies. Discover how to read and understand auras on a deep profound level and the external energies that interact and disturb its energy flow. Allow yourself to tune into the light and energy surrounding your physical being and clearly understand all its layers and how these relate to your health, relationships and life experiences. 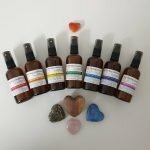 Learn practical easy to use tools and techniques to understand and integrate all the energies of the Auras through the use of beautiful healing remedies and spiritual cleansing tools so your aura is clear, strong, vital and glowing with spectacular coloured light. A clear, detailed, comprehensive and easy to use step-by-step 140 page colour manual accompanies this course. 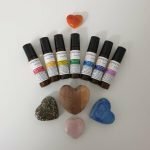 Aura Balancing Kinesiology allows you to tap into the world around you and decide who or what you would like to penetrate your auras gorgeous energy field. The location, aura span, aura mode testing position, colour and described as, aura appearance, related chakra, expression of consciousness, statement of consciousness, purpose, connection, yin or yang, prominent aura development ages, element, sound and attributes of the 7 Aura layers – Etheric Body, Emotional Body, Mental Body, Astral Body, Etheric Template, Celestial Body, Ketheric Template. Willingness, Connection Points, Universe Connection, Negative Energy Fields, Negative Attachments / Entities, Surrogacy and Goal Setting. Finger modes used to tap into auras well as finger modes for specific techniques and correction remedies. How to test for an Aura Colour and what these colours mean. Aura Shapes & Symbols – animal totems, black ring, black shield, black spots, cracks, jagged lines, lightening bolts, orbs, pulsing waves, sacred symbols, silver sparkles, spirit guides, spongy holes. What auras are and how to identify when an aura is out of balance through muscle reflex testing and why the aura is imbalanced including specific wording to enable awareness for the client plus using age recessing and area of involvement. Full step by step laminated balancing procedure for Aura Balancing Kinesiology including an easy to follow session template to use on clients or yourself. Lots of practice time on massage tables with other workshop participants using the full Aura Balancing Kinesiology balance protocol to master the process and practice using all the different remedies to assist others healing as well as obtain beautiful healings yourself. Pre-requisite: Chakra Healing Kinesiology course or equivalent or qualified Kinesiologist with working knowledge and understanding of clearing the seven major chakras. Students will be required to demonstrate competency in written and practical assessments with a 75% pass mark. Six case studies and an online written multiple choice and short answer assessment must be completed post course to obtain proficiency. A Certificate of Attendance will be issued via email for 16 hours after completion of class face-to-face hours. Once successful competency requirements have been met a Certificate of Proficiency will be issued via email for 31 hours. Chakra Healing Kinesiology course or equivalent or qualified Kinesiologist with working knowledge and understanding of clearing the seven major chakras. To purchase any of our beautiful heart-centred products used in our inspiring Aura Balancing Kinesiology course which include our Aura Balancing Kinesiology Training Manual, Chakra Emotions Chart, Chakra Balancing Sprays, Chakra Balancing Oils, Crystal Reference Chart, Essential Oil Chart, Colour Therapy Chart or Clearing Spray please click on the highlighted words or icons below to be directed to the shop.